Now that you've reserved exhibit space, it's time to plan it and promote it! Plant & Floral- Coming Soon! What is my booth number? Company Logo - If you purchased a logo to be placed with your exhibitor profile, send your logo to Jordan (jordan@jdevents.com). Register for Booth Staff / Exhibitor Badges. Exhibitors recieve 4 exhibitor badges per 10x10 booth and booths in the Start Up Zone recieve 2 exhibitor badges.- Click here. Advertising & Sponsorship Opportunities. To purchase event guide ads or other sponsorships contact Michelle Bonina (michelle@theplantbasedworld.com or 203-416-1924). Event Guide Ad Materials - Begin developing your ad materials if you purchased an ad. Here is the spec sheet. Complimentary Marketing and Promotion Opportunities - take a look through these complimentary opportunities and plan your pre-show promotion- Coming Soon! Lead Retrieval Advanced Pricing Expires. Lead Retrieval Order Forms and Information. Event Guide Ad Materials Due. Spec Sheet. Exhibitor Insurance Due. All exhibitors must submit insurance. Here is what is required. EAC Form Due. If you are using a third party contractor (not Freeman) to set up your booth then you need to submit an EAC Approval Form. 400sf or more Booth Rendition Due. If you have a 400sf booth or more then submit a booth rendition to Lou Mancini (lou@jdevents.com) for approval. Advanced Warehouse Opens! You can start sending freight to Freeman's Advanced Warehouse. Host Hotels - Discount Rates Expire. Visit the Hotel/Travel page for rates and details. Freeman Discount Rate Expires. Order tables, chairs, carpeting, etc. by today to receive discount pricing. Also, if you order online prior to today then you receive an even larger discount on some items. Javits Convention Center Utilities - Discount Rate Expires! If you need power, internet, cleaning, or plumbing in your booth order by today! Audio/Visual Services Form Due. Here is the order form. Advanced Warehouse Closes! 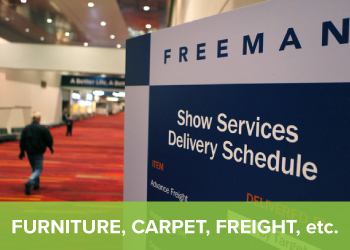 Make sure you get your freight to Freeman's Advanced Warehouse by today. After May 30th, prices will increase. 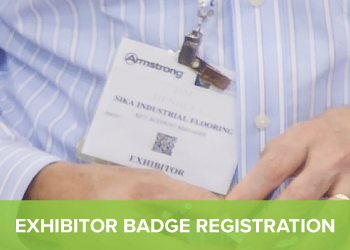 Register for Booth Staff / Exhibitor Badges by today! Exhibitors recieve 4 exhibitor badges per 10x10 booth and booths in the Start Up Zone recieve 2 exhibitor badges.Coming Soon!